SUSK’s mandate is to advocate concerns relevant to Ukrainian Canadian students. SUSK serves as a national forum in which these concerns are discuss and acted upon. It is the coordinating body for Ukrainian Students’ Organizations (USOs) throughout Canada. Meet the SUSK National Executive! The Ukrainian-Canadian Students’ Union is made of local USOs at post-secondary institutions across Canada. 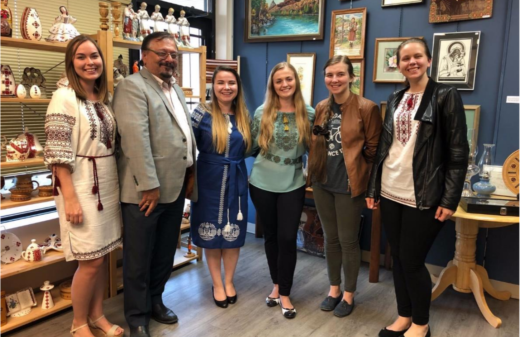 Events organized by local USO Executives are aimed at coordinating and initiating activities for students in order to promote Ukrainian culture as well as developing the community. For example, events hosted by a USO may include an Annual Sports Tournament, a Holodomor/Genocide 1932-1933 Awareness Day, as well as various Ukrainian themed events such as Perogy Night and Pysanky Making Night. Get Involved – Join SUSK! And connect with students nationwide! Click here for more information on getting involved with SUSK! 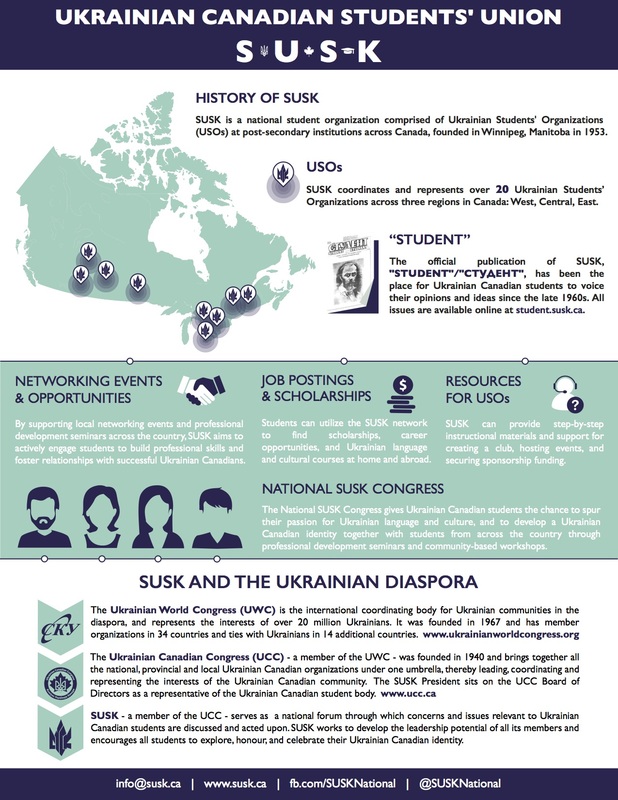 The current organized Ukrainian community in Canada is made up of many of SUSK’s alumni. In essence, SUSK is a training ground for future leaders in the Ukrainian-Canadian Community. 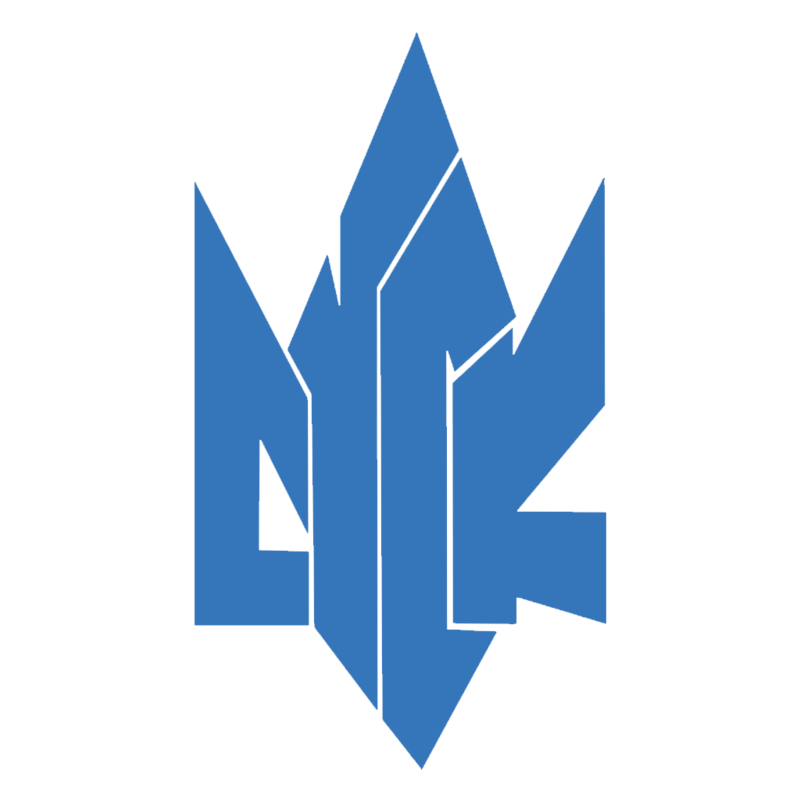 Many alumni are still active as executive directors of the Ukrainian Canadian Congress (UCC), and its many member organizations involving youth, politics, arts and culture, and sports. Other alumni help SUSK in coordinating study abroad programs in Ukraine and supporting Ukrainian-Canadian students with scholarships. Click here to register as a SUSK Alumni!